Of all the incredible aromas that can overtake your senses – it is hard to top the smell of homemade bread baking in the oven. The entire process of making bread can be simply be described as amazing. From the smell and feel of the dough – to the intoxicating aroma of homemade bread baking in the oven or cooling on a rack – to the explosion of flavor in your mouth upon tasting – it’s an experience all to its own. The best part of all, making your own bread doesn’t have to take up hours of your day. 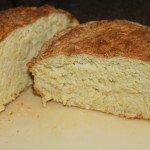 In fact, the Artisan bread recipe below takes about 5 minutes to prepare – and the whole wheat, Irish soda bread and homemade biscuits can be prepared and on the table before you know it. If like us, you are trying to eliminate or cut down drastically on preservatives in your diet – you need to look no further than store-bought breads as a prime target. That goes without mentioning the unhealthy amounts of sugar and salt that can be found in commercial breads as well. Let’s face it – the bread in stores that is so perfectly sliced and uniform wasn’t made that way for its great taste! It is made that way because it’s cheap to create and has a long shelf life thanks to a healthy dose of preservatives. Well, the answer of course – it’s not laden with crazy amounts of artificial preservatives – an acceptable sacrifice to the unhealthy alternative! 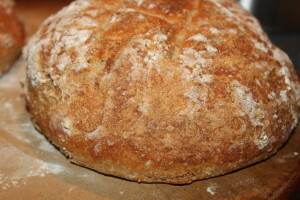 Besides – quite honestly – it’s rare that homemade bread ever lasts long enough to get to that point! So here are our 6 Go-To Recipes for Homemade Breads in our house – and a great way to knock-out preservatives in your diet! 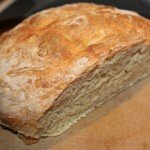 This is a great everyday go-to bread recipe! In about 5 to 10 minutes, by simply mixing together 6 simple ingredients – you are on your way to creating fresh artisan bread that not only tastes amazing – but has ZERO preservatives! No need for kneading – no need for a fancy bread machine – just mix it up, give it about an hour to proof – pop it in the oven and you’re a bread maker! 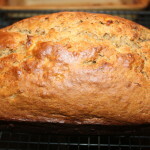 This recipe uses 100% whole wheat flour and of course, no preservatives – and tastes delicious! 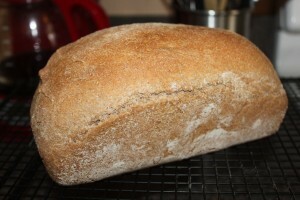 When you buy whole wheat, whole grain, or even 9 grain bread, you believe that is what you are eating, right? Well guess what…..the majority of breads sold in grocery stores and served in restaurants are actually white bread with less than 2% whole wheat flour. 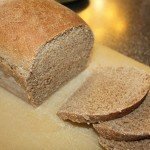 It is astonishing to find out that they allowed to market it as whole wheat bread, when the main ingredient is white flour – but with this bread – you know exactly what you are getting! 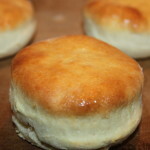 For as long as it takes you to drive to the store and then to bake them, it is much faster, not to mention healthier to make your own biscuits. It really is simple to do – and in just about 20 minutes you have fresh-baked biscuits on your table. Not to mention they melt in your mouth! 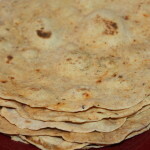 Although it does take a little time to make your own tortillas, but it is well worth the wait! Once you eat them fresh, you will never want to buy those plastic wrapped, processed, never expiring, tortillas that you find at every supermarket.